The stylish 5 star InterContinental Dublin Hotel is an elegant urban resort, nestled on two acres in the exclusive neighbourhood of Ballsbridge. With a number of restaurants and bars for dining and drinks, InterContinental Dublin is a lively all-day dining destination in a comfortable and stylish atmosphere from early-morning breakfasts to late-night cocktails; there’s always something new and delicious. The award-winning Seasons Restaurant celebrates contemporary Irish cuisine lovingly prepared by Executive Chef Alberto Rossi and his expert Five Star team, using only the finest seasonal ingredients. At Seasons Restaurant there is attention to every detail of our guest’s experience, from the intricate food through to the impressive wine list and the professional, friendly service. Innovative and sophisticated cuisine – often described as ‘artwork on a plate’ and a changing menu which reflects the seasons. An elegant dining room, flooded with natural daylight overlooking the courtyard terrace, perfect for intimate dining. 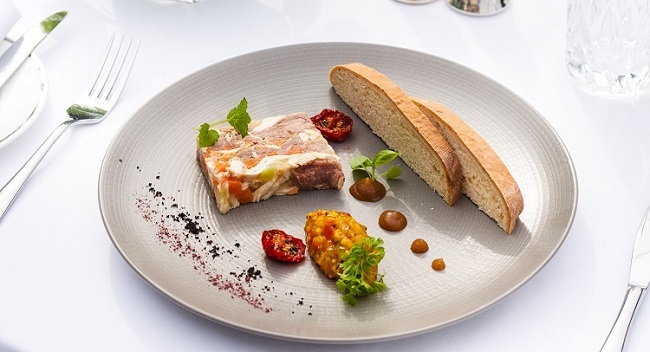 InterContinental Dublin are offering TheTaste readers a 3 course dinner for two with a bottle of house wine for only €90.